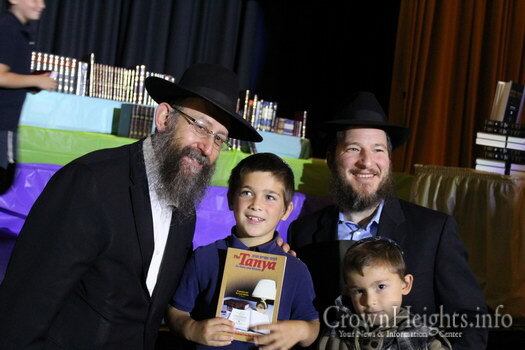 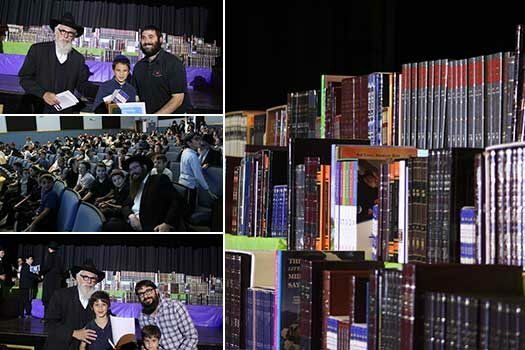 On Sunday 28 Iyar, talmidim of Cheder Menachem Los Angeles, together with their parents, grandparents, relatives and friends gathered together to mark the culmination of over two months of learning Mishnayos and Tanya Baal Peh, as a present to the Rebbe in honor of Yud Alef Nissan. 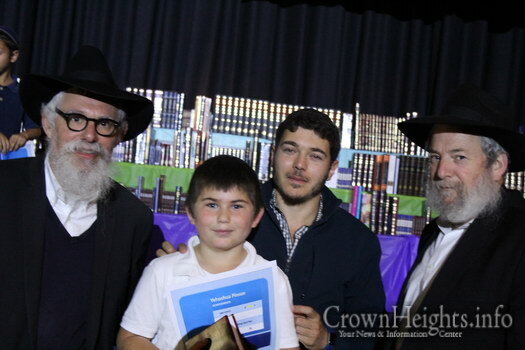 The event began with a video of the Talmidim of כתה א’, learning Tanya Baal Peh in class, which was followed by these Talmidim, in their first year as part of Mishnayos Baal Peh, receiving their prizes. 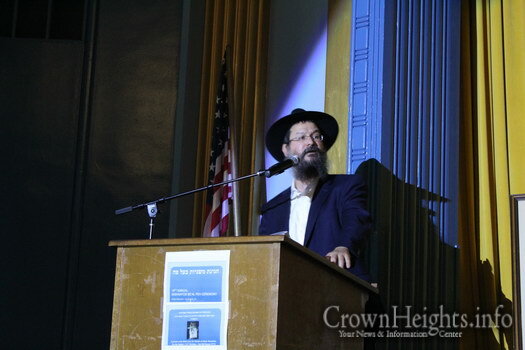 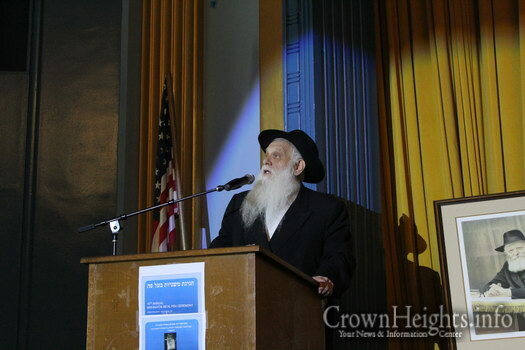 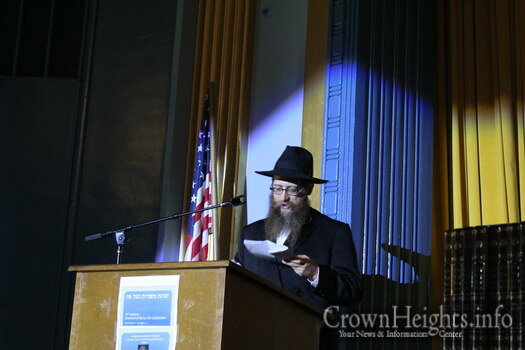 Rabbi Mendel Greenbaum, Menahel of the Cheder then began the formal part of the event, welcoming all. 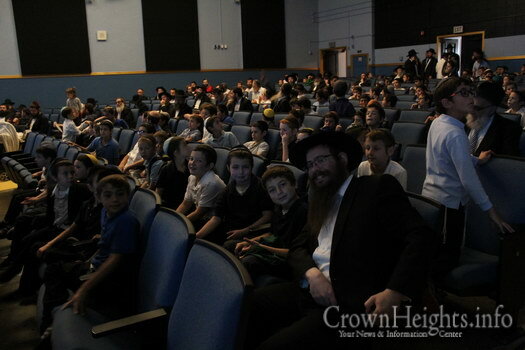 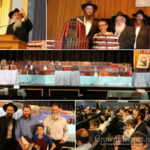 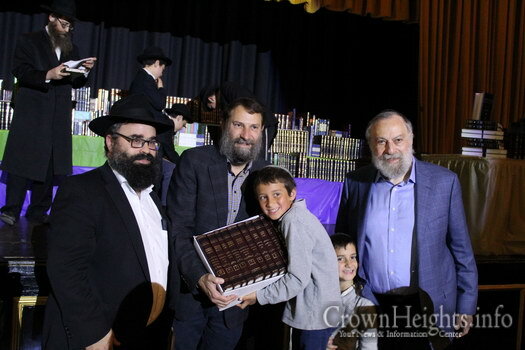 Rabbi Greenbaum introduced Rabbi Shimon HaLevi Raichik, Rov of Anash, who shared Divrei Bracha, reminding all present that it is in the zechus of the children learning Torah that we received the Torah on Shovuos. 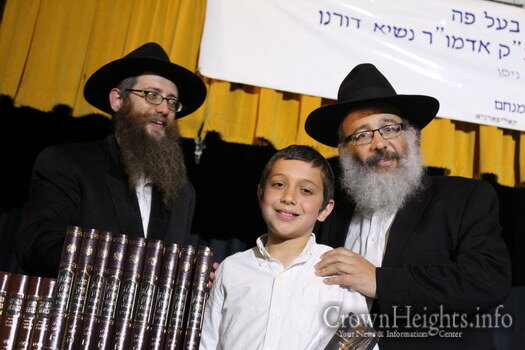 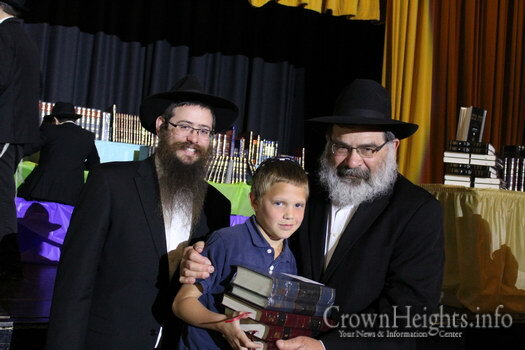 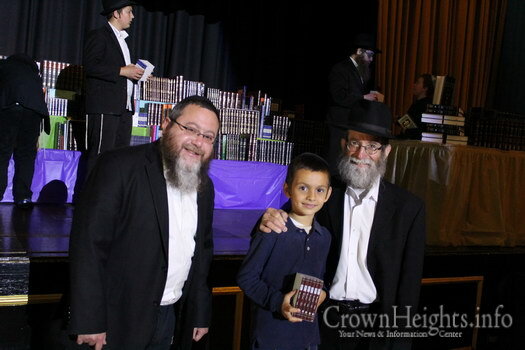 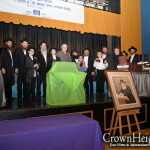 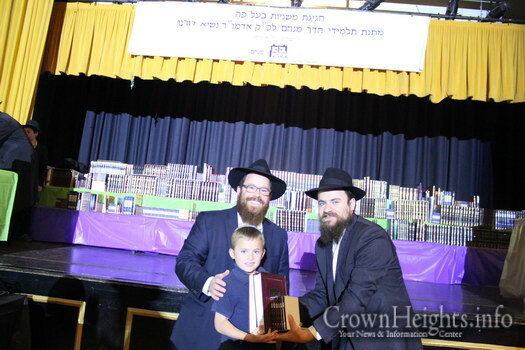 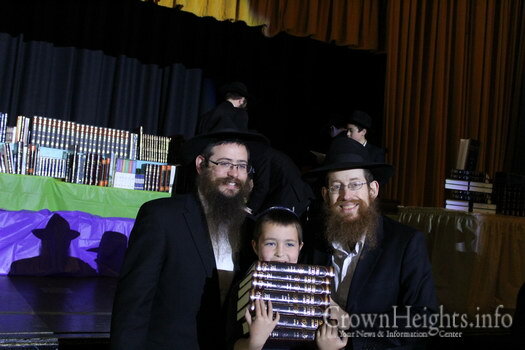 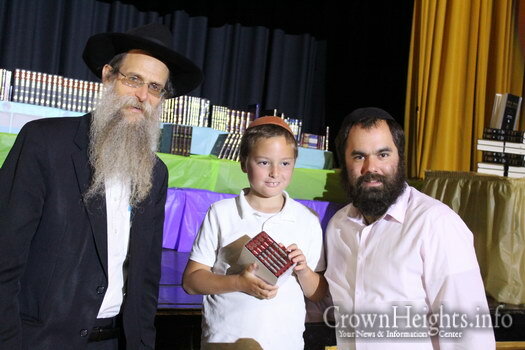 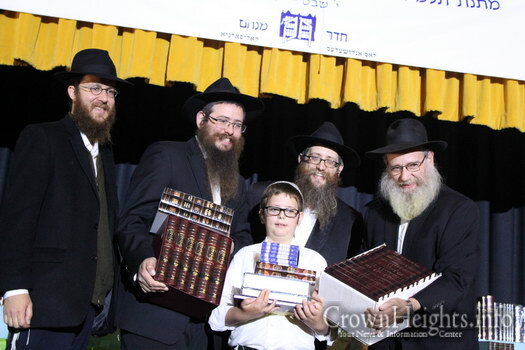 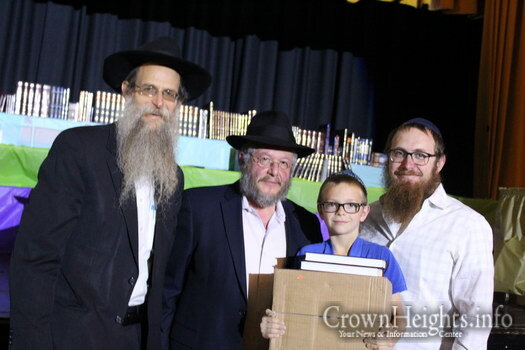 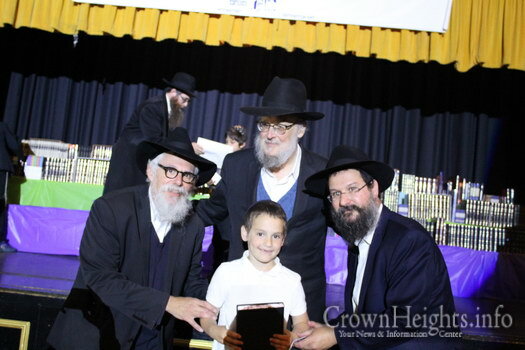 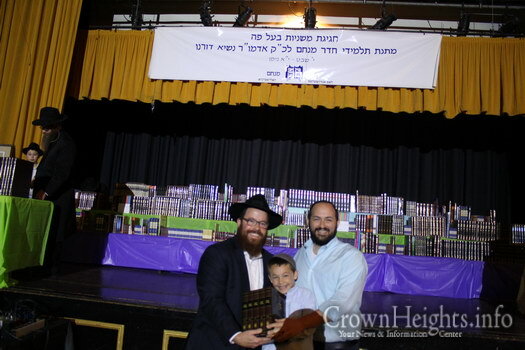 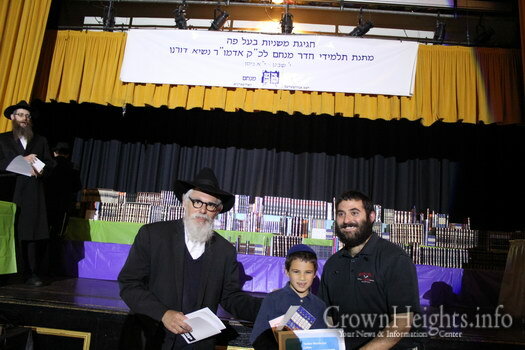 Special Hakoras HaTov was expressed to Reb Yankel Ginsburg and family, who are the “Zevulun” of the Mishnayos Baal Peh program, sponsoring the prizes given to the Talmidim, Liluy Nishmas his father Reb Dov Reuven ben Reb Dovid HaLevi obm. 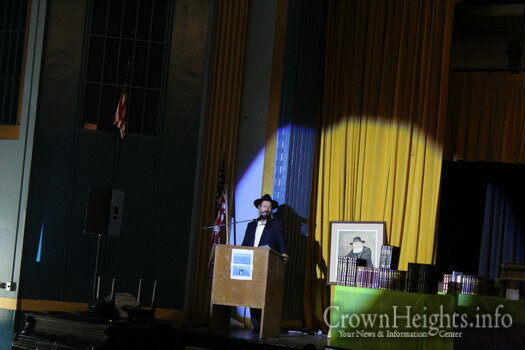 Rabbi Sholom Heidingsfeld, the coordinator of the Program gave a brief overview of this year’s accomplishments, highlighting the fact that this year, in particular, we saw a lot of “איש את רעהו יעזורו “, with classmates encouraging each other and helping them memorize and be tested. 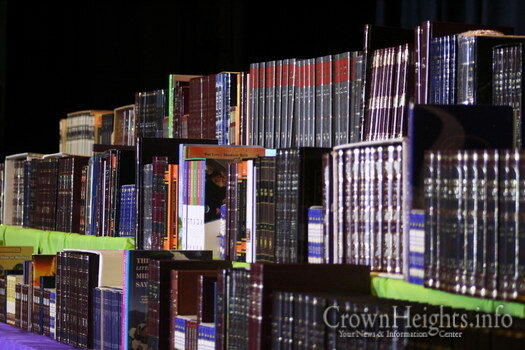 With over 64,000 lines of Torah learnt Baal Peh, including more than 25,000 lines of Mishnayos, 11,500 lines of Tanya and many lines of Siddur and Yediyos Kloliyos, every Talmid participating has a share in the Nachas we have brought to the Rebbe. 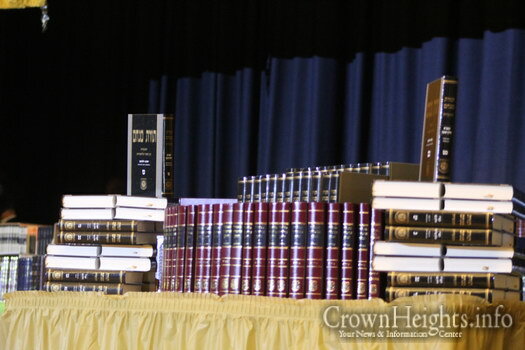 Highlighting this, a video was shown with part of a sicha where the Rebbe speaks about learning and reviewing Mishna by heart, followed by 2 occasions where Talmidim of Oholei Torah went for Dollars telling the Rebbe about the Mishnayos they had learnt. 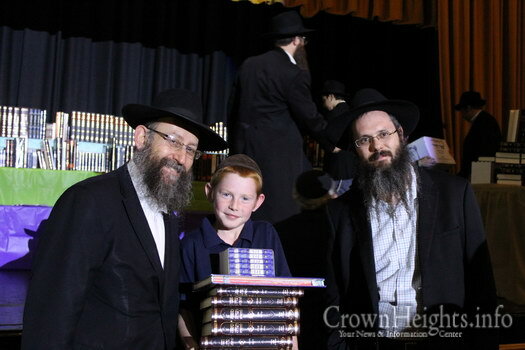 We see the Rebbe’s Brochos continuing, where one of the boys in that video, has now three children of his own in the Cheder, who each learnt substantial amounts of Mishnayos and Tanya Baal Peh this year. 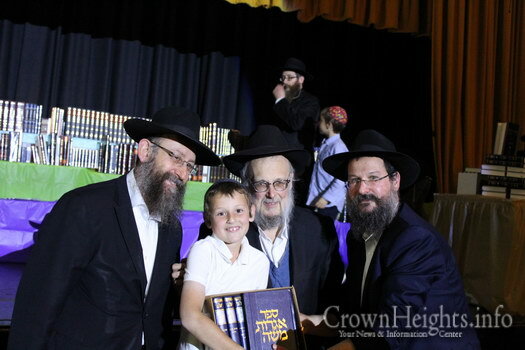 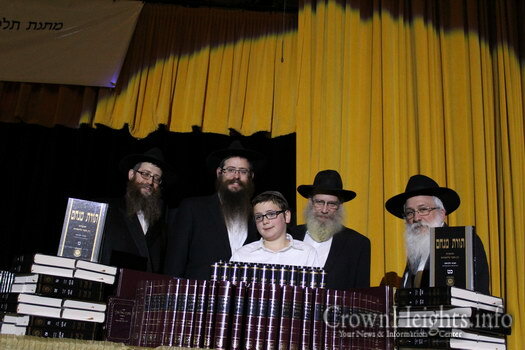 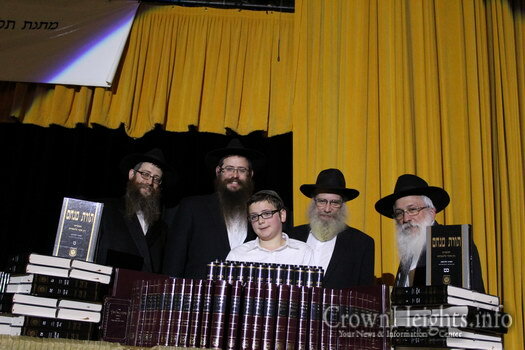 Three Talmidim, Yitzchok Wolowik, Avremele Levitansky and Levi Yitzchok Hecht came up to the stage as representatives of the Yud Bais Perakim Club, encouraging Talmidim to learn the first 12 perakim of Tanya by heart before their Bar Mitzvah. 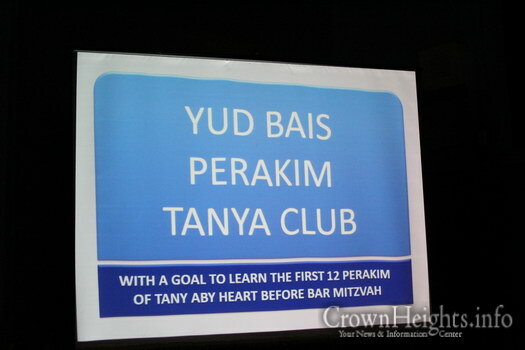 These boys have all learnt more than 7 perakim by heart already. 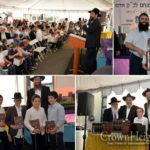 A lot of Mishnayos learnt this year were learnt as part of the “Siach Hasodeh” program, started in memory of Hechover Reb Shmuel Yosef and Mrs Chana Heidingsfeld obm, where talmidim can learn and be tested from the beginning of the year, Baal Peh on the Mishnayos they are learning in class. 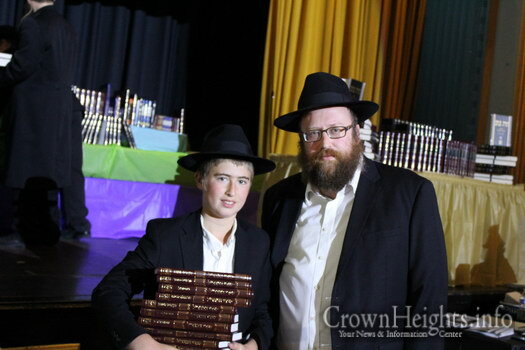 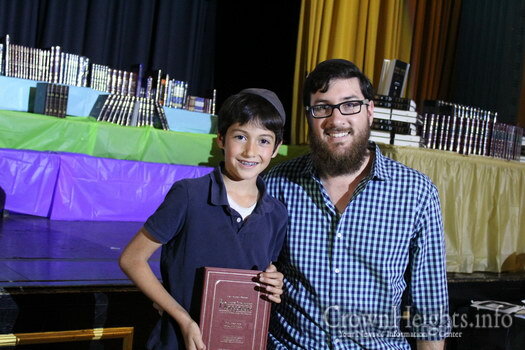 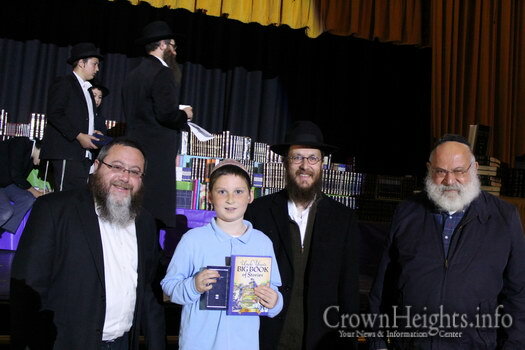 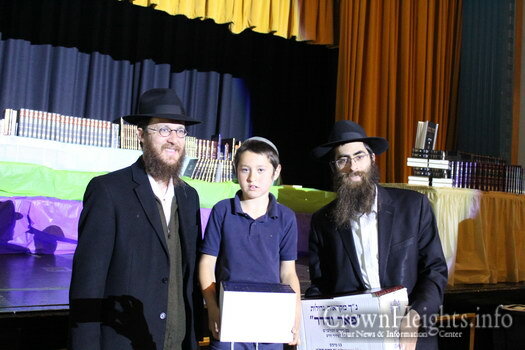 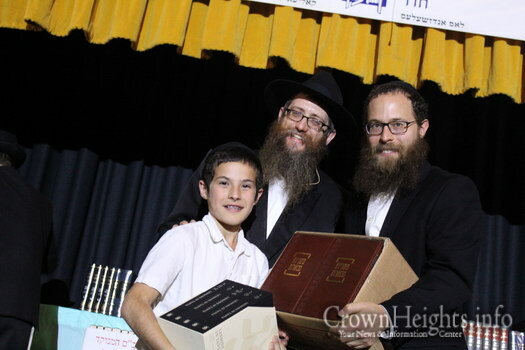 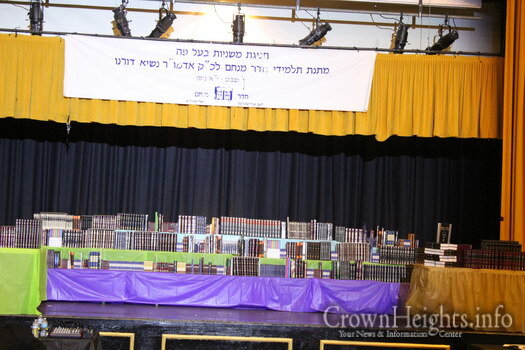 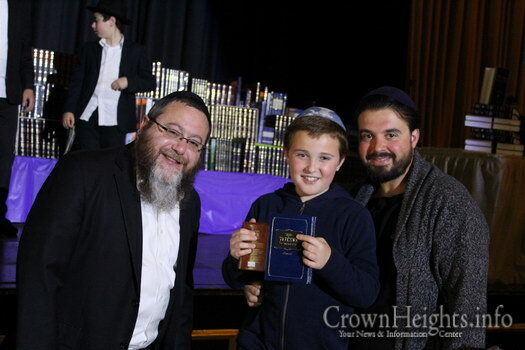 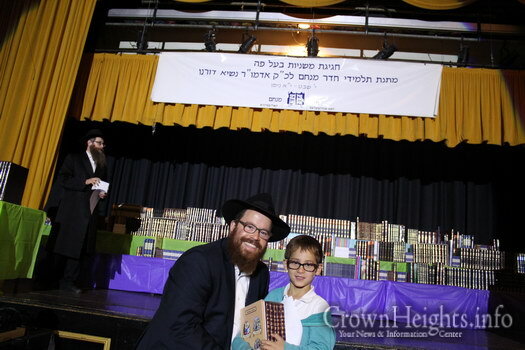 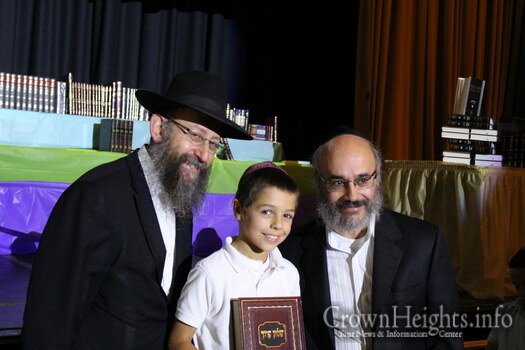 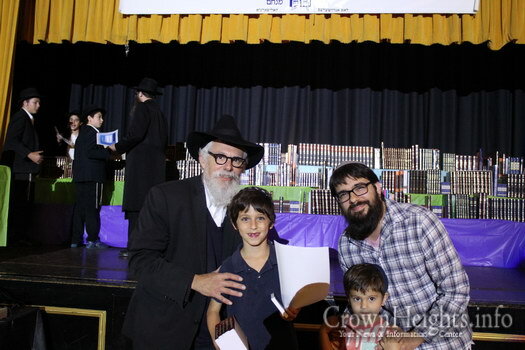 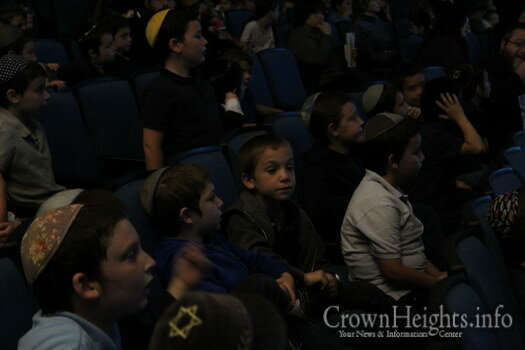 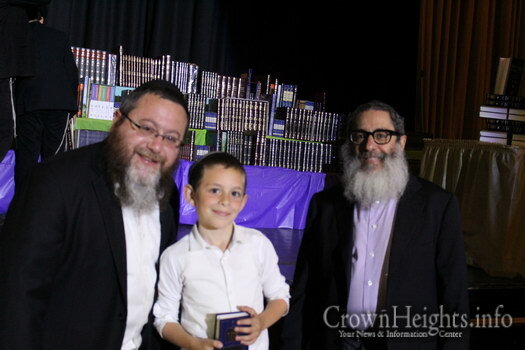 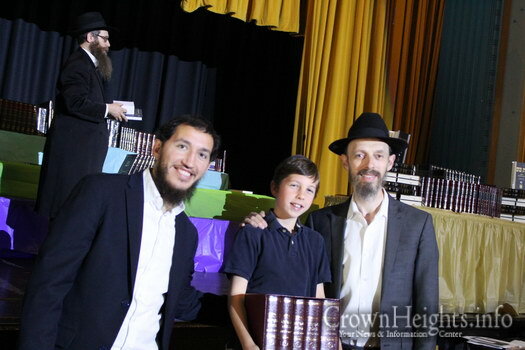 This year’s achievements include 13 boys from Rabbi Blasberg’s Girsa class who learnt the entire Masechta Megilah Baal Peh, with the teitch and Yossi Heidingsfeld, 6th grade, who learnt the entire Seder Moed as well as Masechtos Bikurim and Avos.